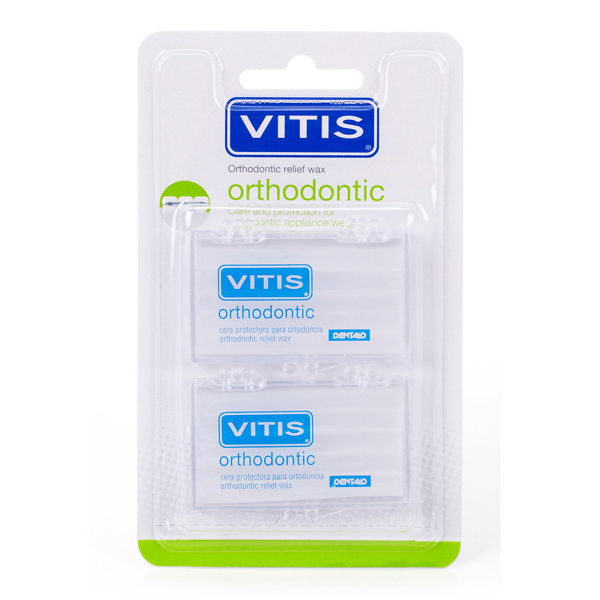 VITIS Orthodontic Wax offers protection against pain caused by braces or other orthodontic appliances. Break off a piece of wax big enough to cover the surface of your bracket or wire. Soften wax by rolling it between your fingers for a few seconds. Dry the area to be covered before applying the wax. Press wax gently into the bracket or wire to ensure a strong adhesion.